Senator Victor Boyhan has posed a question to Government officials regarding "the need for the Minister for Housing, Planning and Local Government to outline the outcome of discussions with the Department of Public Expenditure and Reform about securing additional funding for the Rebuilding Ireland home scheme". Government forced to call walk-through vote after its Senators abstain on charge. City and county councillors will no longer have to pay a €20 fee to make a submission or observation on planning applications in their electoral area or ward if the Dáil rubber stamps a Seanad decision. 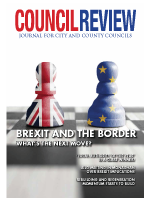 In an unusual move the Government withdrew from a vote when it was called on a proposal by Independent Senator Victor Boyhan that councillors should not have to pay the fee in their own local electoral area or ward. 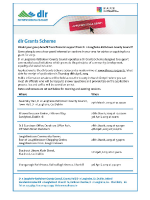 DLR Grant Scheme information sessions running from the 25th March to 3rd of April at venues around the county. 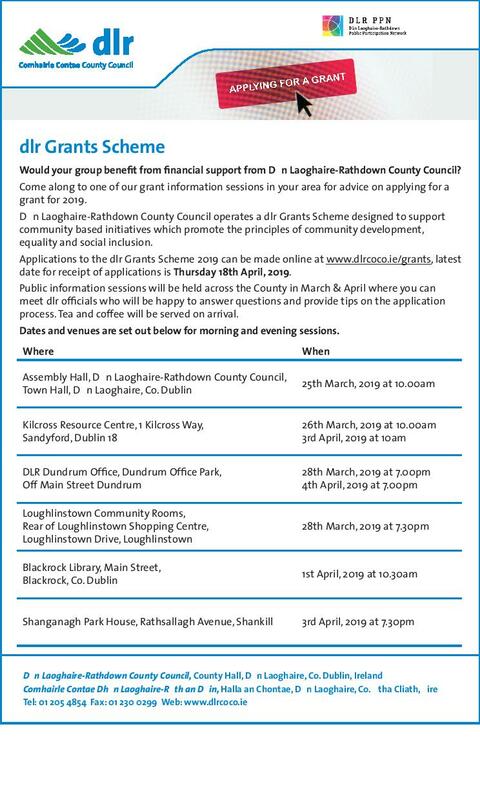 Latest date for receipt of application is Thursday 19th April 2019. Local Council Elections Friday 24th May 2019. Still time to get your name on the Supplementary Register of Electors - Contact your Council office.